For many people, the idea of speech therapy calls to mind images of children working to express themselves or of adults struggling to speak through a stutter. However, speech therapy is much more than that, and there are many benefits of speech therapy for elderly patients. Speaking is the cornerstone of human communication. There are many reasons this ability may change over time, but one of the most common reasons seniors lose some of their ability to speak is as a result of a stroke. A stroke event may damage the part of the brain that controls speech functions, which may have different effects depending on the exact location of the damage. Aphasia is the general medical term describing a loss in the ability to understand or express speech due to a disruption in the brain’s pathways. Expressive aphasia is when the patient cannot speak or has difficulty speaking, but has no change in their understanding. This type of difficulty does not stem from a problem in musculature but in the brain’s processing of speech impulses. Speech therapy works to support the brain’s attempts to create new pathways for speech. A speech therapist will create an individual treatment plan which may include spoken, written, or computer exercises. If possible, the goal is to restore the patient’s speaking ability. However, if the damage is too great, the therapist will work to determine the best compensatory techniques—other methods of communication—to maintain contact between the patient and their family, friends, and the world. While expressive aphasia affects the patient’s ability to communicate, receptive aphasia affects their ability to understand. With this condition, a person speaks clearly and correctly but may not make sense. The person usually does not understand the speech of others. This is an issue of comprehension. Treatment is similar to the treatment for expressive aphasia and involves the support network of the patient to maintain the highest level of communication possible. Dysarthria is the medical term for difficulty with the coordination of the muscles that produce speech. These problems arise from a sensorimotor problem such as weakness, paralysis, or a change in muscle tone. This condition causes the person difficulty in communication; they may struggle in making sounds or may unintentionally substitute one word for another. The pitch and speed of speech are also compromised with these conditions. Treatments for dysarthria include speaker strategies, environmental medication, augmentative and alternative communication, and sometimes surgery. Speech therapy is a non-invasive means of addressing the problem without undergoing the stresses of surgical intervention. Problems swallowing are referred to as dysphagia and are usually the result of a structural change in the swallowing mechanism. Patients may have difficulty with solids, liquids, or both. These changes may cause leaking of material from the digestive tract into the respiratory tract, which is called aspiration. The introduction of foreign material into the lungs can result in aspiration pneumonia which is difficult to treat and may result in death. Intervention by the speech therapist can prevent this by performing swallowing evaluations and making food modifications. The answer may be as simple as changing diets, thickening foods, or undergoing exercises to strengthen the underlying muscles. Because structural changes in musculature may not be evident from the outside, it is possible to suffer from dysphagia and not be aware of it. This can result in extreme weight loss if the food that is being eaten isn’t reaching the stomach. The person is not receiving the benefit of the nutrition they are consuming. Even without symptoms, dysphagia must be treated. Even if the patient is not currently showing any ill effect, the possibility of aspiration always exists with dysphagia. Because of the danger that results from aspiration, treatment for dysphagia is a priority to ensure continued health. Speech therapists may suggest strategies for pacing and posture as a first-line intervention. Speech therapy assists the patient with maintaining their nutrition without invasive medical intervention whenever possible. 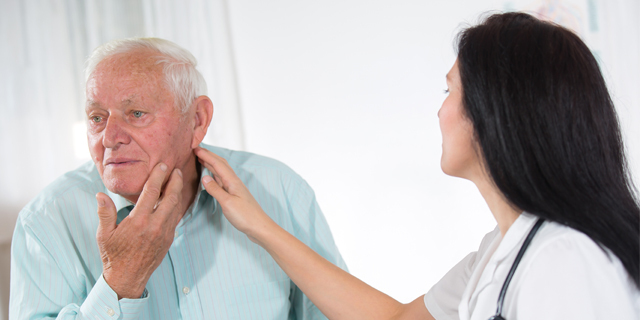 Speech therapy can have many benefits for the maintenance of health in older adults. By creating a treatment plan unique to each individual, speech therapy promotes the highest level of functioning possible for each patient. Are you looking for speech therapy interventions for yourself or an elderly loved one? If you’re looking at a possible stay at a nursing home, it’s important to know that you are getting the best possible services. Download your free nursing home evaluation checklist. It will help you ask all the right questions on your next nursing home tour so that you can feel confident in your decision. Download your free checklist now!